Lavin Landscape & Ground Maintenance provide the most professional lawn care service in Dublin for both domestic and commercial customers. 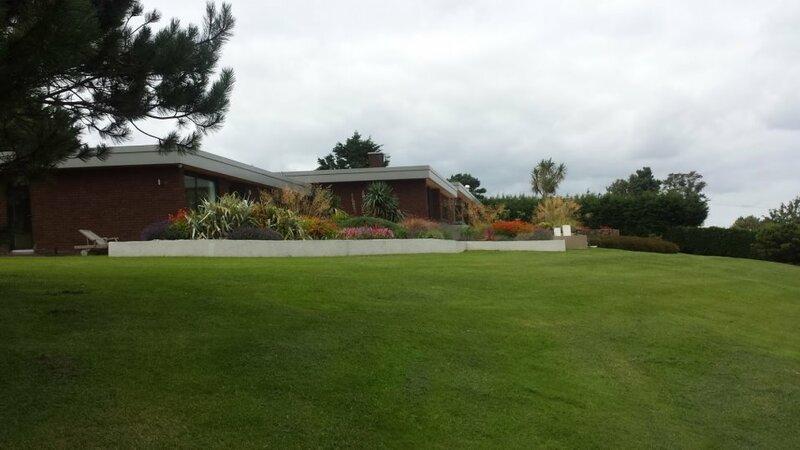 Simply contact us when you are in need of regular lawn maintenance in Dublin. Whether it’s to cut overgrown grass, a regular lawn cutting or a one-off lawn mowing, we can offer you a wide range of lawn services. Simply contact us and explain exactly what kind of lawn treatment you need. We can also give you professional advice on how to maintain a healthy lawn, seasonal grass care tips and when is the best time to mow a lawn. Lawn Mowing – Even the most generic garden care task like grass mowing is carried out with remarkable diligence by our expert gardeners. Grass Trimming – Not a single grass blade will be left unattended, trust our specialists for an exceptional trimming. Edging and borders – The edges of your lawn can look whatever you like. If you have any grass edging ideas, just let us know and they will do it for you. We can install any decorative elements as part of a landscaping service and leave your lawn looking neat and tidy. Top Dressing – In case the grass of your lawn is growing unevenly, our gardeners can enrich the soil with the right fertilising to fix the issue. Lawn Feeding – Fertilising the soil correctly is vital and you can fully rely on our gardeners for this task. We can also take a variety of anti-weed and moss measures. If you don’t have time to undertake these tasks or have left your lawn to over grow, then trust us to provide a professional grass cutting service to you anywhere in Dublin. We can provide our grass cutting services throughout Dublin covering all areas. We can also arrange to come back on a weekly or bi-weekly basis to maintain your garden. Whether you have a small garden or a football pitch – we can accommodate all garden sizes and requirements. Call Now to Book Your Professional Lawn Cutting Service! Call us today on 01 8394444 and talk to Cian about what you want to get done. We’ll be able to arrange a viewing at your property, so you’ll get an onsite assessment of price, and be able to make your requirements known in person. You can also book a consultation via our contact form.